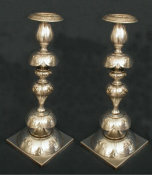 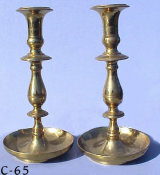 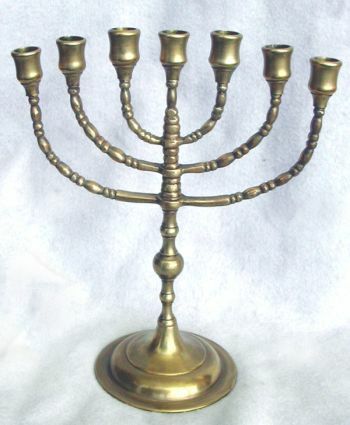 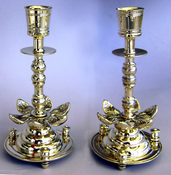 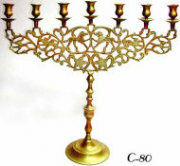 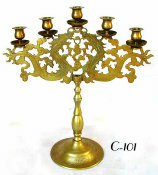 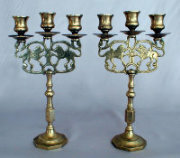 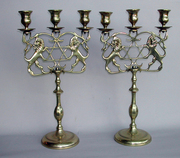 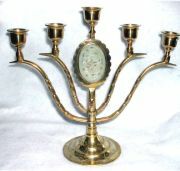 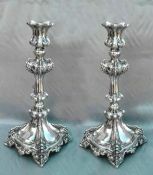 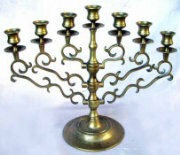 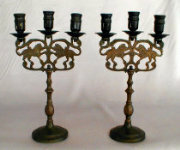 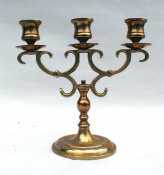 Graceful Seven Light Menorah, c. 1900. 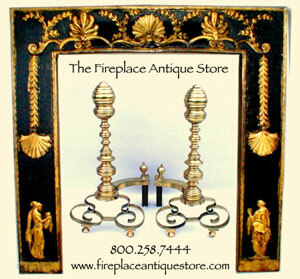 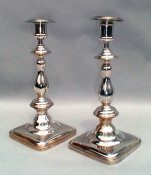 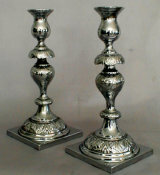 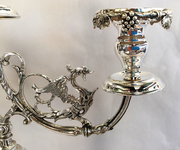 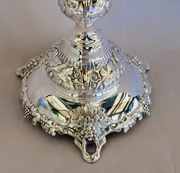 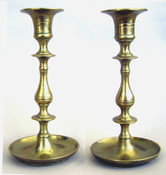 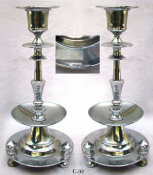 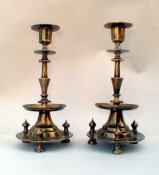 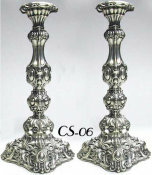 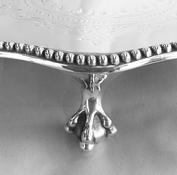 From a banded, domed base, rise a knopped stem with sven decorated brances and krater shaped candle cups. 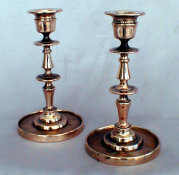 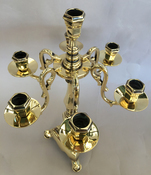 Soft golden patina. 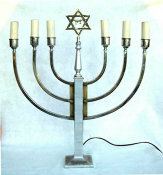 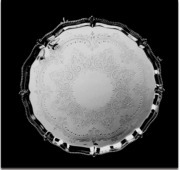 Dimensions: H 9.75" x W 8"